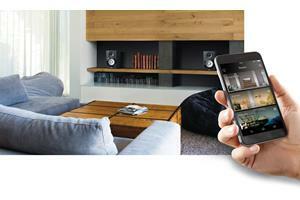 In a nutshell: Wi-Fi® speakers are the building blocks for a wireless multi-room audio system. You can start with one speaker, and then keep adding more until you've filled your home with music. You can use your phone to control the speakers. Play different music in each room or the same music in all rooms. Sonos is the leading brand. Sonos alternatives include well known brands like Bose, Yamaha, Denon, and Klipsch. Below are lists of multi-room audio systems with a brief description of each. Follow the links to find out more about each system. The first list covers "closed" systems. Choose a speaker from one of these brands, and you'll have to stick with that brand as you build your system. The second group includes "open" systems. These included DTS Play-Fi and Apple® AirPlay® 2. Each of these technologies let you mix and match compatible products from different brands. Next, we explore products that feature Google Chromecast and Amazon Alexa. Finally, we answer some popular questions and give you some tips on what to look for when you're shopping for Wi-Fi speakers. Sonos started the wireless multi-room audio revolution. If you choose a system in this section, you’ll have to stick with the same brand as you expand your multi-room system. Great for: Seamless and simple whole-home audio. Wireless surround sound, too. 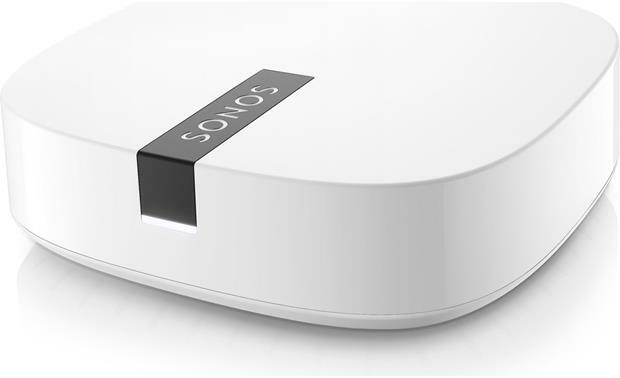 You can integrate your existing audio system (including turntable) into the Sonos network. Trueplay automatically fine-tunes Sonos speakers to sound best in your listening rooms (Trueplay works with iOS devices only). Voice control: Amazon Alexa is built into the new Sonos One. 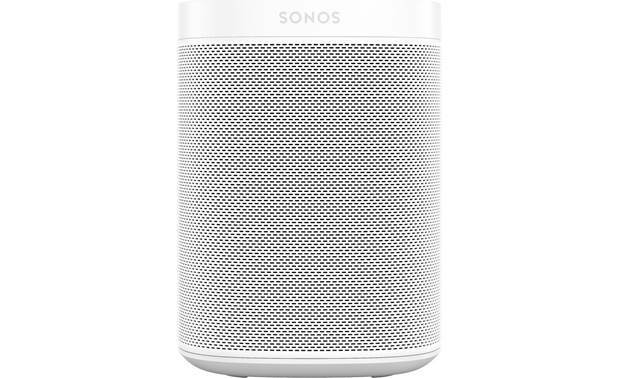 You can also control other Sonos products through an Amazon Echo device. Great for: Legendary Bose® sound, preset buttons on speakers to play favorite sources. 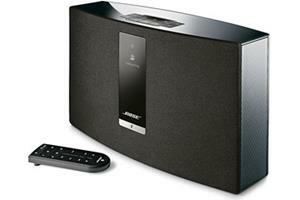 The Bose® SoundTouch® wireless music system includes speakers, a sound bar, and more. Great for: Streaming high-resolution audio files from your computer, media player, or online sources. Bluesound (from the same people who bring you NAD electronics and PSB speakers) is the first wireless multi-room audio system to support MQA (Master Quality Authenticated). Great for: MusicCast is integrated into a wide range of audio products, including home theater and stereo receivers. You'll have more options for system expansion. MusicCast products support Bluetooth, and they can send the Bluetooth stream to other rooms. Unpowered node to connect to your receiver. Voice control: Amazon Alexa (through Amazon Echo device). The Denon HEOS system includes a sound bar, wireless subwoofer and even a portable speaker. Great for: Each HEOS speaker has a USB port that can access high-resolution music from a flash drive. You can stream that music throughout the HEOS system. A great option for sharing playlists from friends and visitors. With the HEOS AVR and a pair of HEOS powered speakers, you get wireless surround sound. Great for: High-resolution audio. "Link" button lets you start playing music in a second room without even opening the app on your phone. Great for: Delivering high-resolution audio. Their Mu-So products feature 32-bit digital signal processors. This exceeds the resolution necessary for streaming audio. It ensures the best possible sound from music from a media server or computer, Blu-ray player, or TV connected to the component via digital optical cable. Great for: Full, 360-degree sound that covers your entire listening area. You get great sound no matter where you sit. You can pair a single speaker via Bluetooth to your compatible Samsung TV. Or you can enjoy wireless surround sound with a pair of WAM speakers and a TV SoundConnect compatible Samsung sound bar. Great for: Radio listeners. Tivoli’s Model One Digital has a built-in FM tuner, plus access to internet radio and other online music services. Radio with mono speaker. Pair two of them for stereo sound. If you choose one of the systems in this section, you can use different brands together. This gives you a great deal of flexibility in building your home wireless audio system. The only restriction is that each speaker or component must be compatible with the system you choose. Several different brands use Play-Fi wireless audio technology. Play-Fi will soon be compatible with Amazon Alexa. You can then control your Play-Fi system through an Alexa-enabled device, such as an Amazon Echo. Plus, you can control your system even if it's made up of different Play-Fi compatible brands. Our article on DTS Play-Fi has additional information on how this setup works. The Polk Omni family includes a sound bar and wireless subwoofer. Plus you can add other Play-Fi compatible speakers and components to your Omni system. Great for: Rich, detailed sound. Powered speakers can be used with sound bar for wireless surround sound. The system includes a portable weather-resistant speaker for patios and decks. Great for: Audiophile sound quality. Their MB50 network audio streamer features analog and digital audio inputs, headphone jack, and balanced stereo XLR output. 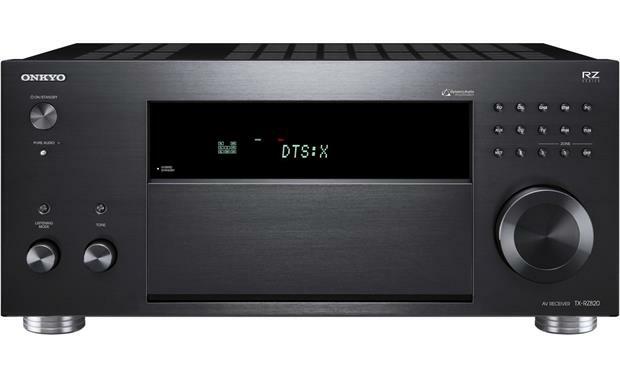 It can be used as the preamp for a high-end stereo system. Great for: That legendary Klipsch horn-loaded sound. "The Three" model has a built-in phono preamp for turntable hookup. Great for: Exceptional sound quality and sleek, modern styling. Powered speakers can be used with sound bar for wireless surround sound. Great for: Streaming high-resolution digital music files. Dynaudio gear can handle FLAC and WAV files with up to 24-bit/96kHz resolution. The speakers come with built-in calibration to optimize the sound for the size and shape of your room. If you own an iPhone® or iPad®, Apple AirPlay 2 lets you make them the center of your multi-room audio system The iOS device streams the music, and functions as the system's controller. You can mix and match speakers and components that have Apple AirPlay 2 built in. Apple AirPlay 2 is usually found in speakers that use another wireless system. 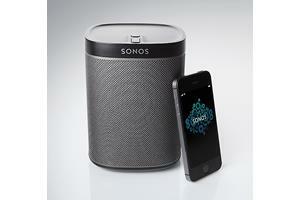 Sonos, Bose®, and Bluesound are but three examples. Our article on Apple AirPlay 2 has additional information about this technology. Google Chromecast provides a quick way to create a basic multi-room audio system. All the speakers in the system can only play the same selection. One advantage to Chromecast, however, is that you can mix and match compatible brands — much the same way you can with DTS Play-Fi products. Great for: Smart homes. You can also control Google Home-compatible devices such as smart locks and power outlets through your voice commands. Great for: High-resolution audio. The Playlist speakers can stream 24-bit/96kHz music from cloud services such as TIDAL and Spotify Premium. Great for: High-resolution audio and portability options. 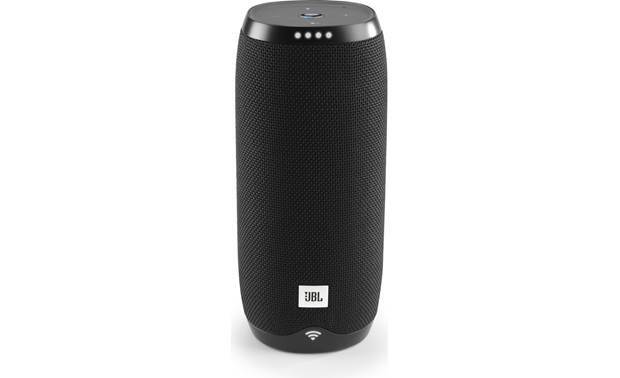 JBL LINK features two waterproof portable speakers and two powered speakers. 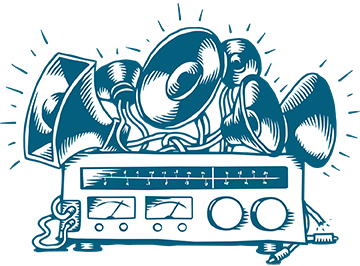 All can stream 24-bit/96kHz music from cloud services such as TIDAL and Spotify Premium. 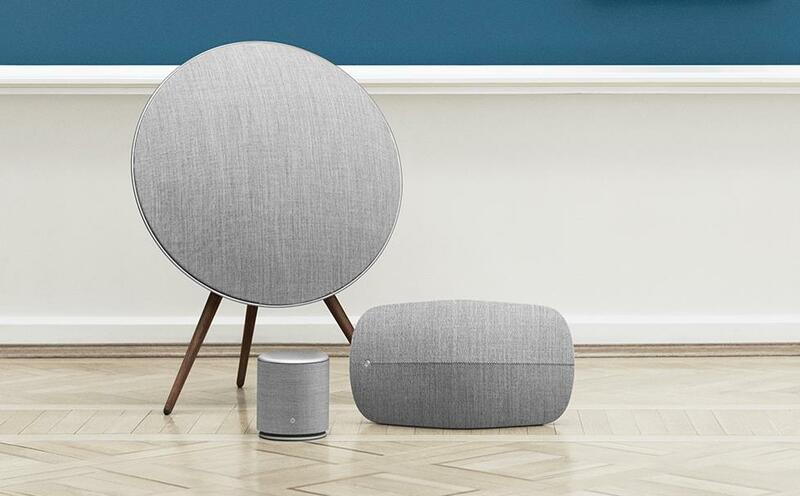 Bang and Olufsen's multi-room speakers feature bold, stylish design as well as great sound. Great for: Style and control. B&O speakers have a bold, forward-looking European design. They also feature touch-sensitive controls so you don’t need your smartphone to control volume or skip tracks. Voice control: Google Assistant (through Google Home device). Great for: Streaming from your smartphone or tablet. 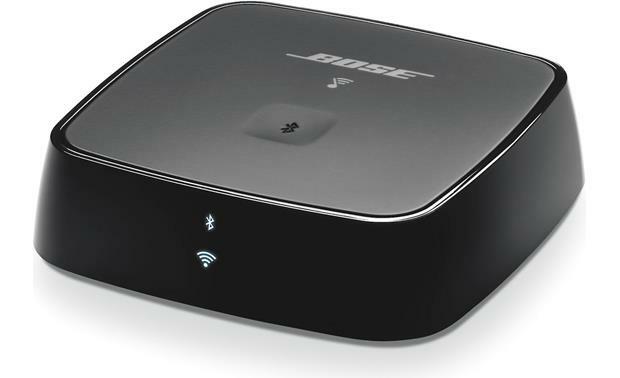 The system is compatible with both Chromecast™ and Apple AirPlay® for high-quality Wi-Fi streaming. You can use the Music Center (formerly SongPal) app to adjust EQ on compatible Sony car stereo components. Voice control: Google Assistant (through Google Home device). Voice commands only control music playback, not video. Great for: Adding high-fidelity wireless audio playback to a component system. Select Onkyo stereo receivers and home theater receivers include Chromecast built-in. Voice control: Google Assistant (through Google Home device). NOTE: May require firmware update. Great for: Adding multi-room capability to your home theater system. Polk Audio MagniFi sound bar systems have Chromecast built-in. wireless audio playback to a component system. Select Onkyo stereo receivers and home theater receivers include Chromecast built-in. Great for: Smart homes. You can also control compatible devices such as smart thermostats and power outlets through your voice commands. A wireless multi-room audio system lets you play music throughout your home. Can I use my own stereo speakers in a wireless system? Look for an amplifier with the Wi-Fi link built in. The Sonos CONNECT:AMP is a good example. Want to get your existing stereo system into the mix? Some brands offer Wi-Fi "nodes" that plug into the aux input of your receiver. Can I play my vinyl records through Wi-Fi speakers? If you choose a speaker or component that has an analog audio input, you can connect a turntable (so long as it has a built-in phono preamp). Then you can play your records through any or all of your Wi-Fi speakers. How cool is that? Do Wi-Fi and Bluetooth play well together? In addition to Wi-Fi, some systems have Bluetooth® or another technology like Google Chromecast that lets you stream music from your smartphone. And some can relay that stream via Wi-Fi to other speakers in the system. That's a convenient option, but there are downsides. Your phone has to stay within close proximity of the speaker you're streaming to, and your music will be interrupted by phone calls. The beauty of Wi-Fi is that your speakers connect directly to online music services such as Spotify® or Pandora®. But check the product descriptions carefully to make sure the system you're considering supports the services you subscribe to. With Wi-Fi, you can also play tunes from the digital music library on your computer or media server. Do I need a new Wi-Fi router to support a house full of Wi-Fi speakers? All Wi-Fi systems rely on high-speed internet access in one form or another. You should also make sure you have a strong Wi-Fi signal in every room you want to place a speaker in. If you find your system lacking, you can always upgrade your router and boost your Wi-Fi coverage. To learn more, read our wireless router buying guide. Our expert Advisors can help. Call or chat with us today for free, personalized advice. Free lifetime tech support is included with every Crutchfield purchase. My church is looking for a system that will get its feed from our Presonus sound board and be broadcast to powered speakers in various locations up to 300 feet away inside the building. Any suggestions? This review seems incomplete with including Apple's AirPlay. It is a multi-room, multi-vendor option. I have been running it from a Windows 2012 Server with iHomeServer (a $50 software program that runs iTunes run as a service so it's always on and provides lots of other features for web interface, streaming, etc) going to Yamaha Aventage receiver, Denon N7, as well as AppleTVs and a couple AirPort Expresses for quick-n-dirty speaker connections. My multi room audio journey has gone from: Airplay --> Sonos --> Bluesound over the past three years. Airplay was dropping out on me all the time, even when I'd set up additional Airport Expresses (by CAT5) to extend range, I couldn't get it to play reliably from the top floor of my townhouse. That brought me to Sonos, which was a BREEZE to set up and sounded quite good, but then I got into HiRes audio and MQA, which had me return my Sonos kit for Bluesound Bluesound is a pain to setup and the Apps to control music are not as intuitive as Sonos, BUT... the sound quality of their equipment is unmatched. They use audiophile quality DACs, they use PSB speakers and they use NAD amp technology. You really sound the difference AND you get to have the upward compatibility of HiRes/MQA. Right now I control the system with Roon, which is fantastic and should be considered by anyone with Sonos or Bluesound equipment. Perhaps within a year or so I'll be using Siri and HomeKit... I noticed Bluesound's logo associated with the AirPlay2 protocol. We shall see! I love Sonos - and the gen 2 Play:5 has great sound. It works so well and the app is easy to use and reliable. Before I tried Sonos, I tried PlayFi (had a Klipsch RSB-14 playbar, 2 "The Three" speakers and 1 Klipsch PowerGate for in wall speakers in my bathroom). It was a nightmare - constant problems with speakers not showing up, Spotify Connect speaker groups being separate from the other speaker groups (and disappearing every time you put your phone down and looked at the app again). Sonos on the other-hand has been working perfectly since day one. If you want to listen to music from many sources and want to create a whole house wireless system, I really can't imagine that you'd be disappointed with Sonos - especially if you pair it with a Spotify Premium account. Just waiting to pay down my credit card so I can add a couple more speakers and I'll be set for quite a few years. Started out with Squeezebox. Had it for 2 years. It worked some of the time... Broke down and got the Sonos. Never been happier. Three Zones, including outdoor lanai, running perfectly for three years. It just works. Agree on both counts Robert Richter. I've just replaced my squeezebox setup running through a Musical Fidelity DAC with Bluesound Node 2 (purchased from Crutchfield). I had internet radio up and running in seconds but couldn't get it to read my lossless media library. The issue turned out to be I hadn't updated my Apple OS. Once I did that it has been seemless. The Bluesound quality is simply superb!! first, Sonos did not invent the wireless music system, Squeezebox, later purchased by Logitech was way ahead of them at least a decade. Second, I would rate Bluesound as one of the best systems out there, and you do not even mention them. I have recently "Drank the Sonos Kool-Aid" after having 3 AppleTV's for years. Although streaming across the WIFI network to AppleTV units is simple enough, these have been riddled with networking issues (momentary silences, freezes, and complete disconnections) since day one. The lack of synchronized play from mobile device was what sent me over the edge. After all these years, Apple's devices should EASILY be able to handle this request...and do it WELL! Even when attempting from Itunes/PC...multi-room sync was never timed correctly. 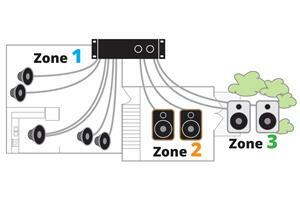 Sonos system is up to 4 zones now (and counting). Back-fed turntable play via the line-in on Connect which feeds the main audio system for full-house turntable sound. Yes it's expensive. Yes it's an investment. You will NOT be dissatisfied! Sonos all the way! (RIP to my Slimdevices Squeezebox who pioneered this first...they just couldn't hang). Hi guys I have samsung multiroom 360. After looking at your thread, I went shopping around for multiroom speakers. I went into john lewis and tried out the sonos and bose speakers. From what i saw the bigger play 5 and the bigger soundtouch 30 where the best offerings from these manufacturers. However i was really impressed with the whole range that samsung had to offer. And i really felt that they were really underrated and would love to hear your thoughts on their range. I have two r7s, r6, r3 and their curved soundbar, the j650. I originally had the playbar and was really diassappointed with the sund quality especially considering the price. Stereo paired r7s sound simply incredible. Would love to hear your thoughts. I love my Sonos system. I can use my tablet or phone to control the music playing and to have my upstairs and downstairs all coordinated. I can move speakers around. Sound quality with the Play 3 is very good. The one thing I really do dislike is that since I have a nice Bose sound system already on my PC, I would like to directly use it as one of my speakers. However, I cannot directly play them even though Sonos is controlled via that PC. Instead I have to employ another pricey Connect unit so my PC can transmit to it and then connect to my speakers. DUH! The Sonos app is pretty good, easy to use but lacks features like putting star ratings on songs and things like that it is lacking. Otherwise I like the sound quality very much and am happy with the purchase. Keep an eye out for Raumfeld everybody. They are brand new to the US market out of Germany. They make audiophile grade wireless speaker systems. Their system easily will stream files up to 24bit 196khz. I purchased 4 of their products when they launched US sales on February 1st and it is a great system with excellent sound. Unfortunately Crutchfield only covers products they sell in this 'Review'. Sonos is likely still the gold standard I would imagine for a simple, clean, wireless audio system. The interface is just incredibly easy to use. However, I switched over to an AirPlay based system a while back (Sonos is just too expensive to scale up past a couple of zones). One can get four Apple TVs for the price of one Sonos player (and obviously they do more than hook up wirelessly to your PC/phone.) Also, there are many receivers and speakers that are AirPlay compatible. Alternatively one can connect an appletv/airport express to an amp and high end speakers for cheaper than a single zone combo with Sonos. The problem with AirPlay is easily playing music in multiple zones simultaneously. If one could sync between "zones" using AirPlay on a mobile device it would be perfect. You can currently only select multiple zones simultaneously when using a Mac Laptop. What I would like included in a review such as this is some cross-comparison of the quality of the audio, and of course relative price. What about Apple's Airplay? 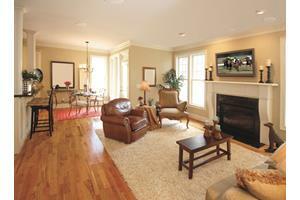 I use a marantz receiver for each room, in-wall or in-ceiling speakres from definitive technologies. the source can be anything but usually tidal (the only lossless streaming service i know) through a computer. you can also use itunes. 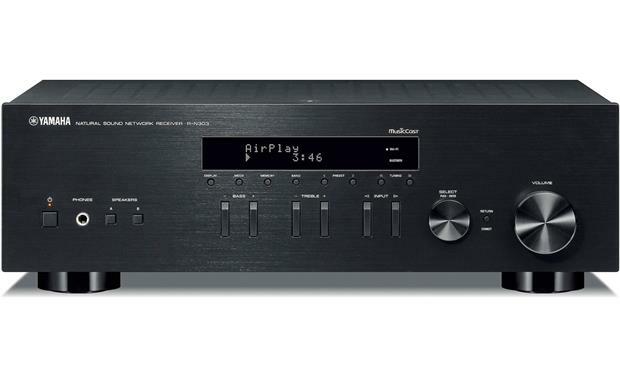 each receiver appears as a separate airplay device (best if you use ethernet but works just fine using wi-fi, the marantz receivers are wi-fi capable). each room will cost over 3k but the result is far superior in audio quality and flexibility than any of the above solutions... Sonos (which i tried for a bit) sounds like an AM station compared the the above... You can use a different equalizer setting for each speaker, different volume level for each speaker, Dolby Atmos if you want to, etc, etc. Your apple remote app can control itunes and the marantz app can control each individual room/receiver for advanced settings. You can also built an airplay multi-room system with just a small number of apple TVs (one per room) and legacy receivers/powered speakers, etc. quick, cheap and it works quite well... At some point Apple will make airplay support video broadcasting to multiple zones (currently only one) and then all of the above will be obsolete because you'll want your video broadcast in sync to every room too, from your iphone, ipad, computer, cable box, satelite, apple tv, etc. etc. Despite all these systems I'm not sure there are any that offer a complete set of features that I want. All seem deficient in some way. I've looked at: 1) Sonos is the obvious wifi audio choice but for some inexpliable reason, they don't offer bluetooth. Not being able to stream directly from devices is ridiculous. 2) Samsung was my next choice but doesn't seem to offer outgoing bluetooth connectivity, meaning while you can stream from PC, you can't use headphones to listen to servies streaded through the speakers. 3) The Yamaha MusicCast system seems to offer both these functions, but doesn't seem to offer a PC controller application (just mobile) like Sonos does. And as it's a new platform it doesn't seem to support as many online services yet. Additionally there aren't any reviews available yet on their entry level speakers. I'll just have to wait and see I guess. 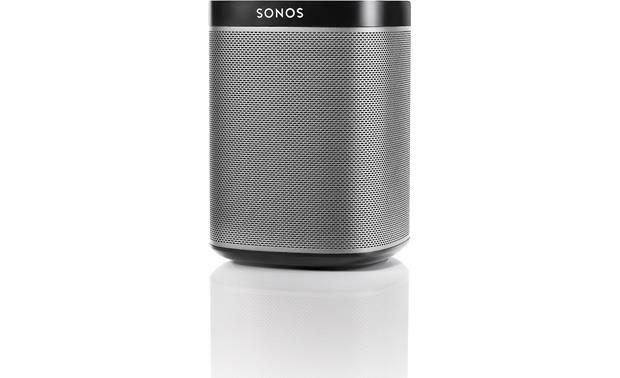 If Sonos would just offer bluetooth and a model with a battery they'd be perfect. It's mind boggling they don't support device streaming after all this time. Hey Donna Sullivan. Your dad would be happiest with the Bose SoundTouch approach to powered speakers/internet radio receivers, offering six channel preset buttons on each device. Once the system's set up (via a phone/tablet/computer app), no additional controls are needed. Just tap a button on top of a Bose box and the station pops on - usually pretty fast (though BBC channels do take a few seconds to come on.) And for across the room control, the units come with a dedicated (RF) remote - also rare in the multi-room streaming audio species. Don: We agree. Korus V600 and V400 wireless speakers are great. When the article was originally written, Korus was just getting started. We'll be publishing an update shortly (many of the systems reviewed have expanded), and that will include Korus. What about korus. They are great wireless speakers. Why weren't they reviewed? Donna, I sent your question to our sales team, and they'll be contacting you via email soon. They should be able to find the best wireless speaker or multi-room system for the job. Help! My Dad loves to listen to music, he is a very simple man. Currently he enjoys listening to the music stations from his cable TV that he can play through out the house via a wireless speaker (from Rocketfish). This recently broke & I would like to replace this for him. Not sure if I should just get another RocketFish RocketBoost or if there is something better - I have SONOS & love it - but working something from an app or the computer is not for him. I'm trying to surprise him so any suggestions on what I should be looking for would be appreciated.